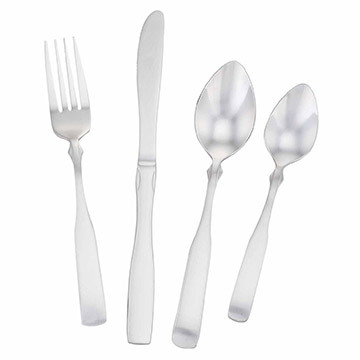 Boelter's Back Bay flatware pattern is as classic as it is unique. The smooth yet simple handle flairs out toward the bottom for that traditional look, but the small wing detail toward the top gives it a little element of distinction. Additionally, the 18/0 stainless steel construction allows for constant use without sustaining any damage.